Any page you open, that is wonderful reading matter. 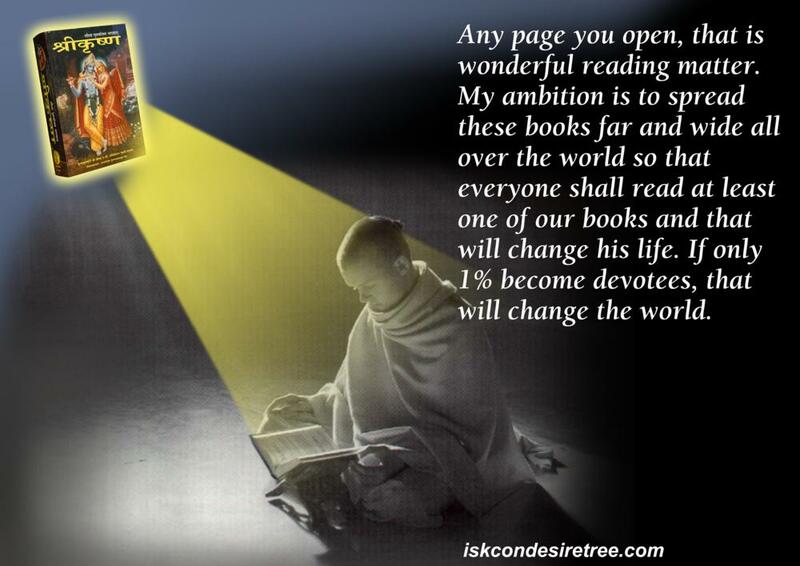 My ambition is to spread these books far and wide all over the world so that everyone shall read at least one of our books and that will change his life. If only 1% become devotees, that will change the world.